Last month, I wrote a bit about Jury Verdict Research, which conducts studies of jury verdicts around the country. A recent Jury Verdict Research study of trucking accidents found that truck accident victims recover damages in 60% of personal injury trials and receive a median compensatory award of $90,000. I find the 60% number a surprise. With all of the weapons plaintiffs’ lawyers have now to prove a case — and figure out if we have one in the first place — it is hard to fathom how we can lose 40% of these cases. The average truck accident case involving a disc injury was $122,532. In contrast, the average median verdict in a head-on truck collision case in the study was $532,034. Big rig trucks are dangerous. They cause serious injuries and they kill people. Our law firm is currently handling 5 wrongful death truck accident cases. It is beyond awful. I think we have established this fact on this blog. What we have not talked about specifically is the risk to truck drivers. Driving a truck was the single most hazardous occupation in the United States last year, taking 852 lives. Logging that many hours on the road with vehicles that are tough to control… I’m surprised the number is not higher. 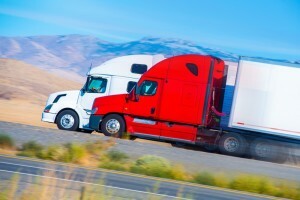 A new appellate opinion offers some interesting insight into the parameters under which a plaintiff may inquire about a truck driver’s driving record and the extent to which plaintiffs’ truck accident attorneys can use cross examination fodder like the commercial driver license manual and other safety manuals. Briefly, a man on a bicycle was killed when he was hit by a truck. The bicyclist was making a right turn against a red light on a white pedestrian signal. The truck hit him and he was dragged for several hundred feet. In Young v. Swiney, the U.S. District Court of Maryland was presented with an interesting, albeit depressing question: Can a suicide, two years after a truck crash, be causally related to the accident? On Monday, a man calls our office. He only has a few minutes to talk. He tells our intake specialist that his brother has been at Shock Trauma in Baltimore since the beginning of the month and that he was hit by a commercial vehicle. The man briefly describes his brother’s injuries as head, eye, shoulder, and ankle. She didn’t get more details. But he has me, obviously, at “Almost a month and counting in Shock Trauma” and “commercial truck.” The majority of our large serious injury cases are truck accident cases. We set up a meeting with the brother for the next day in my office. An hour before the meeting, the brother calls and says that the injury victim wants to be a part of the meeting, asking our intake specialist if we can move the meeting to the hospital. I swallow hard. I’m simultaneously happy and miserable. Sure, I can now sign up the client directly. But I really hate hospital visits. Why? Because it makes me feel like an ambulance chaser, that’s why. Many people pride themselves on not caring what anyone else thinks. I don’t. I really do care – especially what health care providers think because I really have a lot of respect for them. I’ve probably lost a lot of cases over the years eschewing hospital visits. But last month, our firm went on a weekend retreat to the Hyatt in Cambridge, Maryland. Great place. 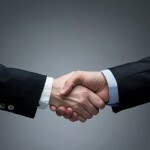 The purpose of our meetings there was to become a better law firm. I’m convinced that we can never stop getting better. We are blessed to have a group of people who have been together for a long time. I think that experience individually and collectively gives us a chance to continue to improve. The focus of the meeting was what I call Kaiser Sose: doing the little things other people can’t or won’t do to (1) make our clients happy, and (2) increase the values of their cases. In the spirit of that meeting, which included the theme of EVERYONE having to be accountable, I have to start making hospital visits when current or potential clients ask me to come. So I drive down to Baltimore to visit the hospital. I’m planning to meet the brother in the hospital lobby. This makes me feel better because it gives me some cover other than the guy who looks like a lawyer going up alone. While I’m fidgeting in the lobby, the brother calls the office and just asks, inexplicably, if I can just come up to the room. Last week, in Hendrix v. Burns, the Maryland Court of Special Appeals dealt with the question of what plaintiffs’ lawyers can admit into evidence in a car accident case when the defendant stipulates to liability. In car accident cases, many defense lawyers loathe to admit responsibility. There is always a chance that the jury will hate the plaintiff and accept some insane version of how an accident happened. But, the best thing that can happen for the plaintiff is for the defense lawyer to deny responsibility in a case, because it diminishes the defense lawyer’s credibility on the scope of the plaintiff’s injuries. If you are plaintiffs’ counsel, you want to get the jury mad at the defendant. Jurors give more money when they are mad. This is hard in traffic collision cases because it is hard for jurors to get mad at a negligent driver who makes what they can perceive to be an accident that they could easily make themselves. Smart attorneys for plaintiff frame the case not as an accident, but a choice the defendant made. “The defendant in this case chose not to pay attention.” But, still, we all know that we have failed to pay attention while driving and it could have, under the wrong circumstances, lead to a car accident. In Hendrix, the call to stipulate to liability was a no brainer for State Farm who defended the case. The defendant was drunk. He tried to flee the scene of the accident, but his damaged car wouldn’t let him. He was in the middle of some sort of road rage dispute. A picture perfect bad guy defendant for the jury to hate. State Farm did what they should do, file a motion in limine to exclude the introduction of evidence that the defendant was drunk, that he had been involved in a “road rage” incident with another driver and was crazily chasing that driver when he ran the red light, that defendant attempted to flee after the accident, and also that his criminal record included DUI convictions. Plaintiff’s lawyer did what smart ones do in a case like this. He brought a battery case for the road rage, arguing that has been put to bed since law school doctrines like transferred intent. He brought a negligent entrustment count. 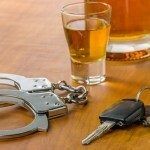 He also smartly argued that a part of Plaintiff’s pain and suffering was seeing the defendant drunk and trying to flee the scene of the accident. This is doing everything you could do to put your client in a position to maximize her damages. Does this have anything to do with the appropriate level of damages in a personal injury case? It depends on your world view. If you think damages should be calculated in a hermetically sealed box, it shouldn’t be admissible. 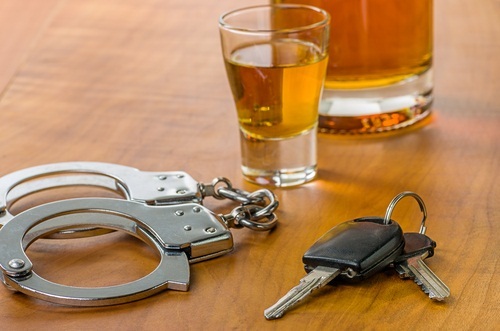 From this perspective, it shouldn’t matter whether the defendant was a crackhead on his 6th DWI or a nun with a 40 years history impeccable driving. Yet, somehow, the fact that she was a nun would come out on direct. Why? Because the insurance defense lawyer is trying to minimize damages by suggesting that this nun is a sweetie and she is going to have to pay this verdict out of her pocket. 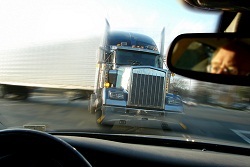 Truck Accident Claim Tactics: How Much Does the Truck Weigh? A defense lawyer who regularly defends truck accident cases was telling me recently how many plaintiffs’ lawyers rarely ask the questions that really scare him in deposition or in discovery. Car accident lawyers figure, “Hey, it is a truck accident. A truck accident is just a big car, right? It is really not. There are too many nuances to truck accident cases. One typical miss: inquiry as to how much the truck weighed. Some estimate that 30 percent of tractor trailers and dump trucks are overweight. I’m guessing that is high. Sometimes, advocates for plaintiffs get a little carried away and the result is hyperbole. 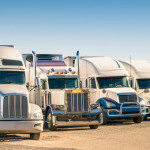 But truck accident cases disproportionately involve overweight trucks not only because heavy trucks cause more accidents because they are less safe, but also because truck drivers and companies that are willing to go overweight are similarly willing to take other chances with fatigued drivers and improperly maintained trucks. 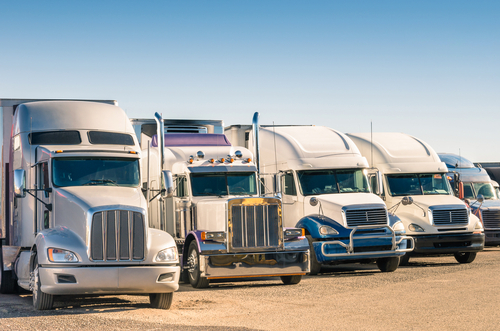 It is easier to file a lawsuit against a trucking company than a truck driver. This is true because human beings are likely to feel more comfortable placing blame on a big business than pinning it on one, possibility sympathetic, truck driver. We humans are folksy like that. Moreover, juries are not told of the existence of insurance in traffic collision cases, leaving the juries wondering who is footing the bill. Most juries get it but they are not entirely sure because it seems so unbelievably odd that no one mentions insurance. The collateral source rule is not understood by the general public. I had a trial once in a truck accident case where we actually did very clearly point to the commercial defendant. He was a great guy, we tried to leave him out of it as much as possible. But after the verdict, one juror was extremely concerned that the defendant driver – who left an “I don’t have two nickels to rub together” impression – would have to pay out of his pocket after the verdict. “That nice Mr. So and So is not going to have to pay for this, is he?” The take-home message for me: you have to make crystal clear the corporate entity is the one on the hook, not the likable driver. Reams of studies on the relationship between driver fatigue and big rig truck accidents are just a Google click away. No one has seriously disputed this premise since federal regulators first limited commercial truck driver road time in 1940. Pat Malone writes a guest blog on Don Keenan’s Trial Blog arguing that confidential settlements undermine public safety and justice. 2013 Update: the link is now broken but this post is still really worth reading. His point is that confidential settlements make it harder for future plaintiffs to get evidence and information they need to bring out all of the facts about the defendant’s conduct. 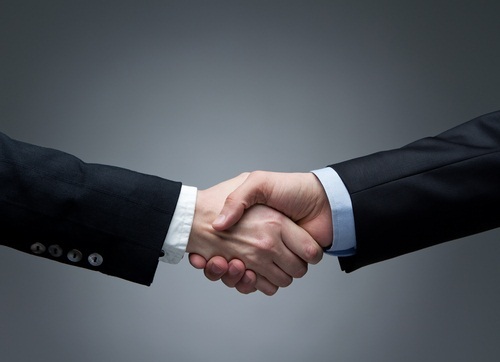 Here’s one tip for avoiding last-minute pressure from the defense to cave into a secrecy agreement: Be proactive. Tell the defense counsel at some appropriate point – such as with any settlement demand letter or in a pre-mediation communication – that you will not agree to secrecy because of the ethical issues. This can be one item on a list of settlement conditions. Pat Malone is an extremely well respected lawyer who not only gets great results for his client, but also graciously spends a lot of time helping other perso nal injury lawyers. I also agree with his premise: there is doubt doubt that confidential settlements make it harder for the next plaintiff. This also make the company less accountable, too, in the big picture. But here’s the problem: people who have been badly injured, even the best of people, have a hard time focusing on the global interests of plaintiffs everywhere when they are fighting and scrapping to be compensated for their injuries. And I have a hard time telling them that they should. Boy, I hate being bullied by big companies. I try hard not to take these things personally. But they were so arrogant in the way they delivered their ultimatum. They never would had the guts to play it through and I knew it. So we plotted a “file a motion to enforce the settlement and, in the off chance we lose, we try it” strategy. In angry detail. With our feathers up and blood boiling, we forgot, ah, that we have a client. So we call the client. She could not care less about confidentiality. She wants to execute the settlement and get her money.